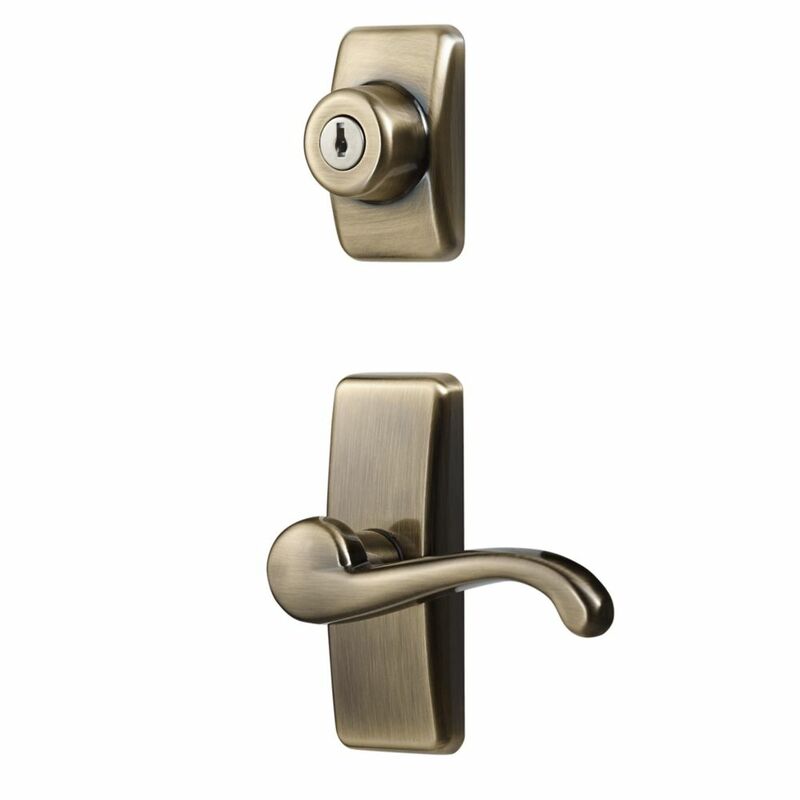 Deluxe Storm & Screen Door Lever Handle & Keyed Deadbolt is rated 4.6 out of 5 by 14. Rated 4 out of 5 by Clarity from This set took a bit of ingenuity to assemble (mostly because of the door itself), but it works we... This set took a bit of ingenuity to assemble (mostly because of the door itself), but it works well and looks nice. It's a great replacement for the one that was there. Rated 5 out of 5 by Elizabeth from Only when all the parts R there !!!!!... Only when all the parts R there !!!!! Rated 5 out of 5 by MrsFixIt12 from The directions and a YouTube video made it very easy... The directions and a YouTube video made it very easy to work with..... Looks Great! Rated 3 out of 5 by Mainmama1 from This product is quite a bit larger than the one being replaced. Do not know yet if it works well... This product is quite a bit larger than the one being replaced. Do not know yet if it works well with our door, as the weather has not been good enough to install it. Rated 5 out of 5 by KM from Bought for Anderson Forever door. I had to put in a wood block to space it correctly. It is far nicer and less expensive than Andersons replacement. Perfect fit! Rated 5 out of 5 by Brian from Screen door lock The door handle fit perfectly had no problem with the dead bolt and it all looks great I would recommend it .. Rated 5 out of 5 by Mum2Three from Great product. I recently painted my storm door and needed new hardware. The finish matched my entry door hardware perfectly and makes it all come together beautifully. Very satisfied with my purchase. Rated 3 out of 5 by Anonymous from It works but... It was a direct replacement for a storm door,however the handle sold have been a solid piece and not some hollowed out cheap version, and in the kit you get all different size screws and handle stems but only 1 lock rod maybe want to put 2 if you happen to miscut and that's another issue you have to cut the lock rod down when it clearly has the indentions should be able to snap off with a pair of pliers. Unfortunately I can't give a higher rating to go with the higher price tag.